Supreme Court on Wednesday upheld the validity of a giant and controversial government program to collect and store the biometric data of billion-plus citizens, but placed new limits on how the data can be used and stored. A five-judge bench ruled that while the government's flagship Aadhaar program had huge benefits in delivering welfare efficiently, biometric data can no longer be used by private entities such as banks or mobile phone operators for authentication purposes, curbing the program's ambitious scope as a universal ID. "Aadhaar empowers the marginalized section of the society and gives them an identity," said Justice Arjan Kumar Sikri delivering the 1,448-page verdict. Aadhaar - meaning foundation in Hindi - provides each citizen with a unique 12-digit number, linked to their iris scans and fingerprints. Started under the previous administration and expanded by Prime Minister Narendra Modi, the Aadhaar program was hailed by the government as a tool to bring India into the digital age, and help restructure its tax and welfare system as part of the "Digital India" program. The original idea for the government was to be able to easily identify people fraudulently claiming government benefits, like food or fuel rations. But over the years, it has morphed from a welfare delivery tool to a near-necessity for everyday life in India. Citizens have been asked for their Aadhaar cards to access a host of government and private services including new bank accounts, school enrollment, booking flight tickets. The Supreme Court's order will restrict the program's usage to government services only - Aadhaar will be necessary for collecting food rations, or fuel subsidies, but no longer for opening a bank account or getting a new mobile SIM card. Children, upon reaching adulthood, can now opt out of the program, should they no longer need welfare services from the state, the court said. "The majority has upheld the goal of Aadhaar and said that it pursues a legitimate state aim," said Zoheb Hossain, a government lawyer, adding that the state could still pass legislation to allow private organizations to use Aadhaar. Prasanna S., a lawyer representing petitioners, said the court had delivered a "body blow" to the "vision of the Aadhaar project as a universal and ubiquitous ID" and the order "effectively makes Aadhaar voluntary, not mandatory." Over the past decade, more than a billion citizens were enrolled in the government's database. To reach the remote corners of the country, officials went to tribal villages, setting up pop-up registration centers at schools or going door-to-door to enter records of more than two billion eyeballs and ten billion fingerprints into a government database. Records of citizens' bank accounts, addresses, income tax filings, and other digital data were compiled and linked together. But the program's flaws were evident. 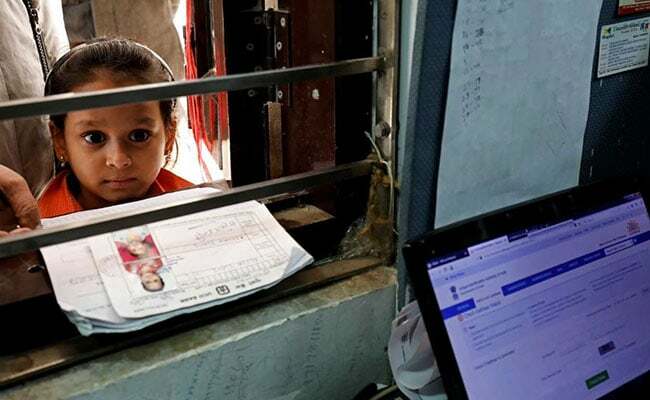 Critics argue that some of neediest were denied their food rations and other welfare entitlements because of authentication errors or Internet connectivity problems. Media outlets and online activists also reported vulnerabilities in the technology and the way in which the data is collected - a report by the Center for Internet and Society said that government websites may have accidentally leaked details of 135 million citizens. The Tribune reported that private operators contracted to enroll people offered to sell access to the database for $11, and the HuffPost reported that hackers were using a patch to disable security features of the enrollment software and could easily create fraudulent identities. In 2012, a retired high court judge from Bangalore filed the first petition against the program to the Supreme Court saying that Aadhaar had no statutory basis and violated the right to privacy. K. Puttaswamy, now 92, was worried that the program could be abused by illegal immigrants from neighboring countries, who might have used their biometric ID cards to claim citizenship. As the government's program expanded, the retired judge's original petition swelled into a movement centered around privacy, security, and denials of welfare entitlements due to authentication problems. More than two dozen petitioners raised problems with Aadhaar, including a retired army general, and the scientist who helped create eLocutor - Stephen Hawking's single-button electronic voice machine. They argued that Aadhaar was a dangerous "Big Brother" program, and could be used to keep tabs on how citizens spent money, where they traveled and who they called. "As the Snowden revelations show, if the state has the power, there is always a temptation," said Nachiket Udupa, one of the petitioners, referring to the former National Security Agency agent who leaked details of the U.S. government's electronic surveillance program. Government lawyers disputed claims that privacy was at stake, arguing that the data was kept in "silos" - so a bank would never know if you had claimed your monthly ration or filed your taxes. They filed reports demonstrating how huge fraud - double dipping, ghost beneficiaries and counterfeit identities - added enormous strain on the country's stretched welfare system. Trillions of rupees were allocated by the government for the welfare program, and more than half of it never reached beneficiaries, attorney general K. K. Venugopal argued. This was the heart of the dilemma facing the five-judge bench: the state's duty to provide welfare services to the country's huge population so it can have a dignified existence, versus individual citizens' right to privacy. Though the program will continue, Apar Gupta, a lawyer for the petitioners said the verdict was an "incremental victory" for privacy activists. "The court only commented on constitutionality, but during this hearing the public policy benefits of Aadhaar have also been called into question."